Legal History Colloquium, New York University Law School Annual series of workshops for research in progress, including 2-3 annual Samuel Golieb Fellows, who are either completing graduate work in legal history, or recent recipients of the Ph.D. Annual series of work-in progress workshops by both junior and senior scholars. Interdisciplinary center for the study of law and society, overseeing a variety of workshops, lectures, and related events, and offering a range of courses for undergraduates and law students. Annual series of three to six presentations in legal history, mostly by invited visiting scholars, and mostly in the field of British or American legal history. Monthly series of presentations of works-in-progress within the field of legal history, broadly construed, primarily by scholars resident in the Chicago area. Law and History Program, Columbia University. Annual series of presentations, mostly by visiting legal historians, along with a more informal set of workshops for and discussions of work-in-progress by graduate students and resident faculty. Offers a wide range of courses on Chinese law and Chinese legal history, including a Chinese legal history colloquium and a course in Chinese law and society. Monthly legal history workshop for presentation of work-in-progress by legal historians and students in Virginia’s JD-MA joint degree program, and the Colloquium in American Legal History, in which a law school classes discusses recent work in legal history with the authors. One of several institutes within the University of Minnesota Law School, the program offers a regular workshop series and an annual fellowship. A lecture series in which “faculty and students from both the Law School and the History Department can discuss some of the best work now being done in the field of legal history.” An invited speaker gives lectures every other week. Offered as a first-year J.D. seminar course. Weekly interdisciplinary speaker series featuring scholars based in law schools, and social science and humanities departments, including a number of historians. Annual series of workshops for visiting scholars who present work-in-progress, as well as two annual lectures by eminent legal historians. Annual series of biweekly workshops, mostly for visiting scholars, who present research-in-progress. Also sponsors lectures and occasional conferences. Several annual workshop series on significant themes in legal studies and legal history. Topics include International and Comparative Law, Constitutional Law, Law and Economics, and “Crime and Punishment.” American Legal History has been consolidated into the “Public Law and Legal Theory” workshop. 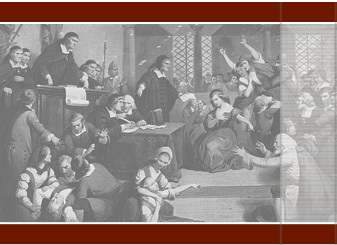 Annual one-day conference exploring the legal history of the early modern world. Lecture series in which distinguished historians of law give a lecture on campus. Open to the BU community and the general public. Informal evening lecture series in legal history which is open to the public. Participants include graduate students and faculty from the University of Toronto, York, McMaster, and other institutions, as well as law students and lawyers. Regular workshops of research-in-progress in legal history, with participation by Israeli and non-Israeli legal historians. Working group for scholars of law and history affiliated with the Centre for History and Economics. In addition to a workshop series, workshop participates have curated some digital resources in legal history, including recorded interviews with legal historians, a research network, and articles on working with legal sources. Association of faculty and students in legal theory and legal history. Organizes conferences, holds “causerieën’ or roundtable talks, and publishes a monthly electronic periodical. Faculty strengths in medieval, early modern, and contemporary developments in Belgian law. In Dutch and English. Workshop series featuring lectures by notable legal historians from both Israel and abroad.